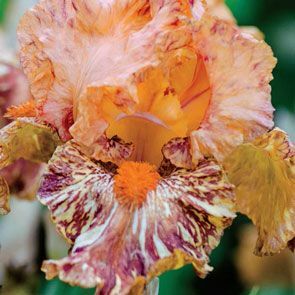 An eye-catching beauty with burnt orange-apricot petals. Its flaring falls are overlaid with a deep garnet netting pattern and creamy streaks. Bright tangerine beards lend to an exuberant spirit.